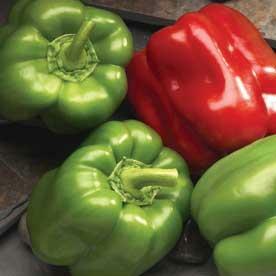 Thick walled classic bell pepper, green ripening to red. Disease resistant, adaptable, vigorous and high yielding. Works well in garden or patio pot. 75 days.